A few weeks back, I posted an article to Facebook about conflicts between the small, uber-wealthy city of Piedmont, Calif., and the much larger, more diverse and financially strapped city of Oakland, which surrounds Piedmont entirely. Two things stood out: the focus of the article, which brilliantly follows two Oakland high school students trying to raise awareness about the "upper-class isolationism" of Piedmont, and a woefully incorrect assertion by the author that Piedmont is the only such "island city" in the nation. I brought up my personal favorite, Hamtramck (entirely surrounded by Detroit), and my fellow members of the urban dorkisphere quickly rose up with their own — from Denver's Glendale to examples in New Jersey and Los Angeles. When it comes to places like Piedmont, the elitism is clear. Robert Reich would call it the "succession of the successful," with roots going back more than a century. Compare the demographics of Piedmont with those of Oakland and its neighbors Alameda, Emeryville and San Leandro. San Leandro, the suburb to the south of Oakland, was so segregated in the post-war era that it became the subject of a CBS documentary called "The Suburban Wall." It was an anchor of what Robert Self called the "white noose" surrounding Oakland. Yet if you look at the demographics today, you see a San Leandro transformed: an icon of exclusion has turned into one of the most diverse cities in America. San Leandro has grown and changed with the region, while Piedmont remains overwhelmingly white and wealthy. Since 1970, the population of Piedmont has actually declined as the population of the region doubled. When you look beyond upper-class enclaves like Piedmont, the question of small affluent cities becomes more complicated. 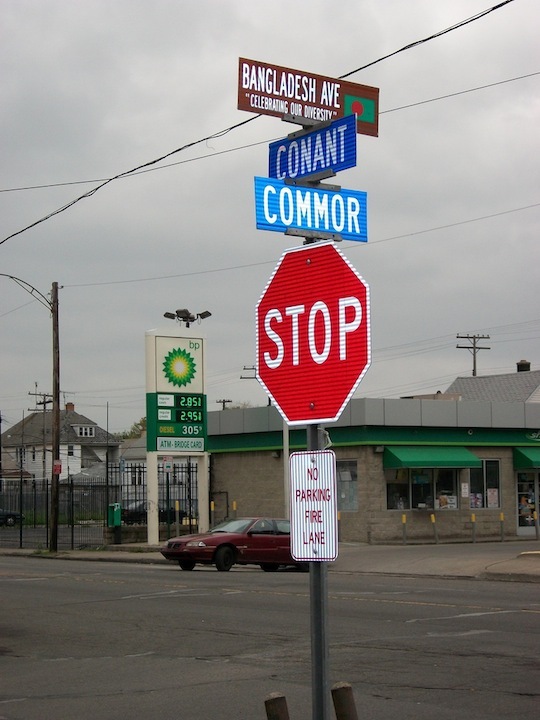 Hamtramck was once very white, but it is now a mini San Leandro in the middle of Detroit, an exceptionally diverse community that has not walled itself off from its surroundings. West Hollywood — which is linked to the city of Beverly Hills inside Los Angeles — has become quite wealthy, but its status as a gay mecca gives it a certain cultural caché and a claim to at least one form of inclusion. Denver, my new regional crush, boasts some of the most bizarre municipal enclaves in America. It completely surrounds the city of Glendale — an island of apartment complexes and office buildings (along with a few strip-clubs and a major rugby complex, of course) that make it Colorado's densest municipality. Glendale incorporated in the 1950s to avoid annexation by Denver, and it shares a kinship with cities like Emeryville, with "colorful" pasts (read gambling, vice, etc.) and big dreams of rebirth as something different. On Denver's western border — squeezed between the city and the suburb of Wheatridge — are two micro-towns, including the 14-block Mountain View, which has its own police department for a population of less than 600. 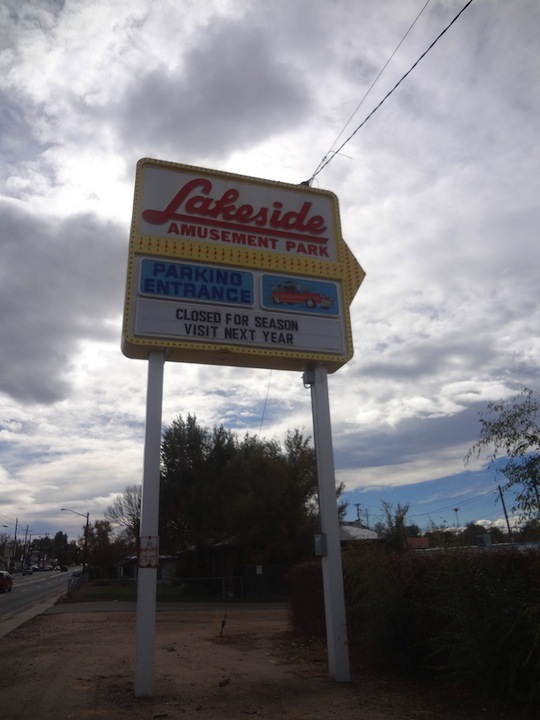 Mountain View's partner in crime is Lakeside, a community of 8 residents (with a WalMart on the way) and a giant old amusement park. Like Glendale, Lakeside siphons off tax revenue from Denver and its suburbs. Unlike Glendale, it cannot boast any real population to support. It incorporated in 1907, three years after Mountain View, so that its sole landowner could avoid Denver liquor laws. Ironically, 1907 was also the year of Piedmont's incorporation, following the massive earthquake in San Francisco that saw Oakland's population boom and its leaders, many of whom lived in what would become Piedmont, seek opportunity in annexation. If you are born today in an American metropolis, you will inherit a set of political lines drawn by long-dead men whose will has somehow become sacrosanct. However, the laws that govern annexation and incorporation also allow disincorporation and the creation of new lines that may better fit contemporary realities, values, fiscal needs and demographics. But we lack the political capacity to even propose eliminating archaic boundaries, even if they're detrimental to the overwhelming majority of people. We seem to have no problem separating ourselves, but to even consider consolidation is anathema. Part of the problem is that U.S. civic education doesn't prepare citizens to understand how borders are drawn, how services are paid for, where most tax dollars go and how to navigate complex questions of identity, political voice and service provision. In school we learn about Congress, about checks and balances and the challenges of federalism, but the history of how local government was formed and operates is left for us to figure out on our own. This ignorance helps feed a system that preserves the status quo at all costs, even if it is detrimental to our longterm health and happiness. If we all knew more about how these lines are drawn and about our rights to redraw them if need be, perhaps we could have a more civilized conversation about how to share resources and eliminate unjust tax havens, while allowing for the cultural, architectural and political differences that make these fragmented mini-cities interesting. This, I would argue, is the only hope we have of "liberating Piedmont." Wow, Alameda also looks very European and Asian. Thank you for posting that visualization and linking to 'The Suburban Wall'. An excellent post. I should probably say White instead of European. I just think White and Black are such terrible ways of labeling people. South Tucson is another example. It was incorporated to take advantage of state laws that allow more relaxed liquor (and dog racing!) laws in cities than in unincorporated areas of counties. Today the city of Tucson surrounds it. I don't think these cities should exist, no. Governor Pat Brown tried to eliminate some of the virtually industry only "rotten boroughs" of Southern California in the 1950's but failed. More recently there was another effort to disincorporate the "city" (more like industrial park) of Vernon, but it too seems to have fizzled. Borders are indeed very tenacious, whether they continue to make sense or not. For great info about and insight into this issue I recommend CITY MAKING: BUILDING COMMUNITIES WITHOUT BUILDING WALLS by Gerald E. Frug (Princeton, 1999), especially Part One: "The City as Legal Concept." West Hollywood is not an "Island City." It is mostly surrounded by Los Angeles, but the connections with Beverly Hills are very improtant. Who’s First on First Street?